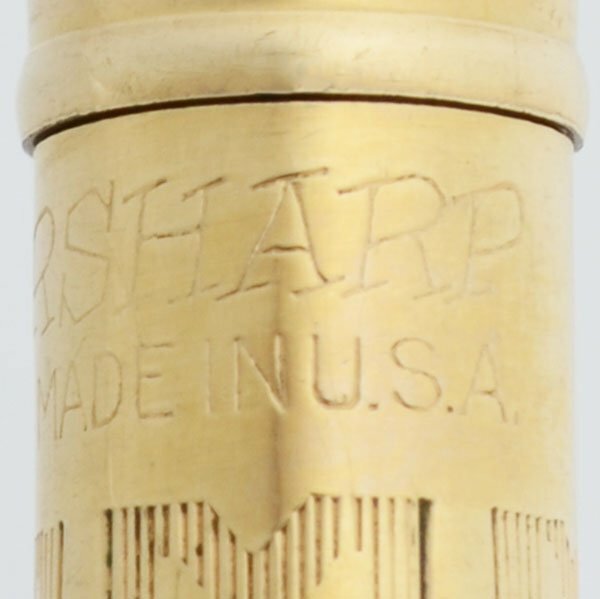 Wahl Eversharp mechanical pencil from the 1920s. It has a rose gold filled Chased Finish, Check Design pattern and takes "thick" or 1.1mm leads. Excellent + condition and working well. Color Rose gold filled pencil with the Chased Finish Check Design pattern. 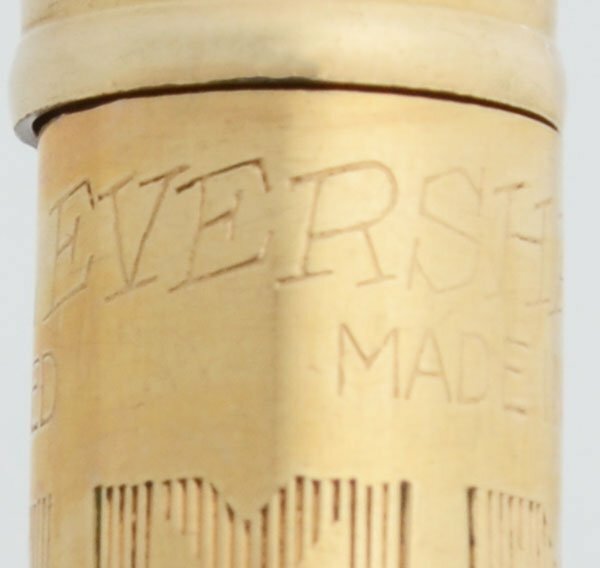 It is etched with a chevron pattern. 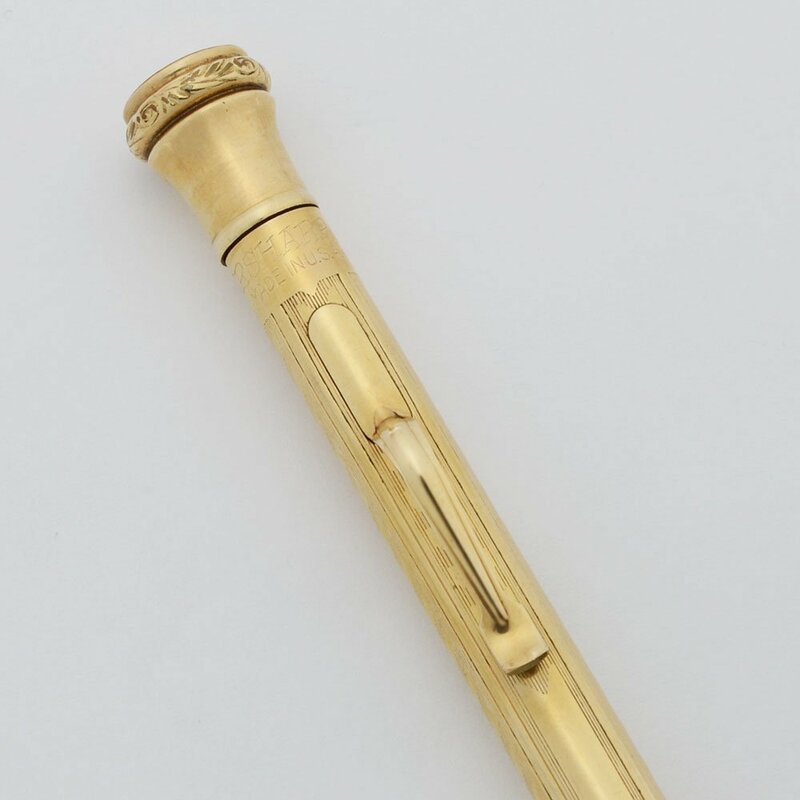 The pencil cone is not gold filled and it has an ornate column decoration on the cap. Condition Excellent + condition. There are some shallow bite marks near the cone area and the originally silver colored cone is discolored. The cap has two or three dings. No personalization. The patterning and imprints are very clear. The pencil is working very well.